The 22 Review is our way of sharing the interesting, exciting and thought-provoking things we come across each week. We pick the best 2 finds and add in a little extra something too. Enjoy! Sign up to get the 22 Review right to your inbox every Friday. Flexible OLED displays have been around for a few years now, however their implementations in consumer devices have so far been limited to putting the flexible panel behind a rigid piece of protective glass. Samsung Display has just announced the next step up from that: a flexible OLED panel that has a transparent plastic cover already attached, emulating the properties of glass but retaining the screen’s innate flexibility. 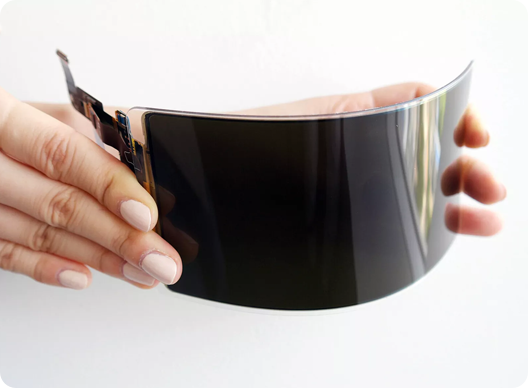 Obviously developed primarily for smartphones, this new flexible OLED panel will also be offered for use in other electronic devices such as portable game consoles, military devices, e-learning tablets, and in-car displays. Samsung aren't offering a release date at the moment, as they are yet to announce mass production of the new component. Gravity Industries have rolled out a prototype of their jet-suit which literally gives you the power of Iron Man style flight. 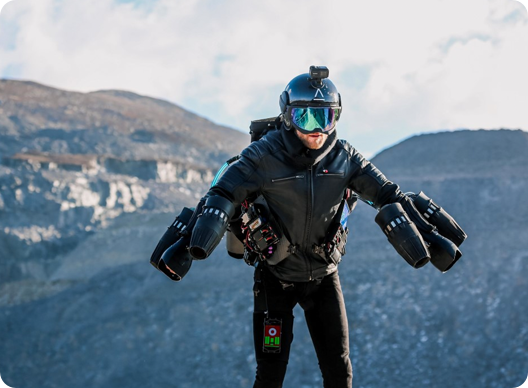 With an intense horsepower of 1050, the jet-suit can lift you off the ground and even hurtle you forward at speeds of 30mph (the record highest for jet-suit travel, apparently). While it isn’t as elegant as the Marvel superhero’s exoskeleton, it’s a start, with 6 thrusters in total (2 on each hand and 2 more at the back). What’s better is that this isn’t just a sample suit for testing purposes, or a suit commissioned by the military. It’s literally available to the public… although you’d need $447,000 to fulfill your childhood fantasies of being Iron Man. Last week we weren't able to share a 22 Review issue with you, and that was all because of the insane amount of work that went into the trade show that we attended in Yorkshire at the beginning of the week. The team flew/drove up to Yorkshire on Saturday to set up the stand, and the (always) intense exhibition of Version 22 products began on Sunday. We had a full 4 days speaking with prospective partners and clients, and finished late at night on Wednesday. We then spent the last couple days of the week in team meetings working on planning and strategy not just for the trade show, but the business in general. There wasn't much time for anything else (hence the missing 22 Review) so we've had a couple of slow days this week resting and catching up with missed emails etc. Now we're back on track and in the usual swing of things! Have a great weekend! We'll be sharing a full write-up next week on our Blog of the trade show, so be sure to keep an eye out for that!